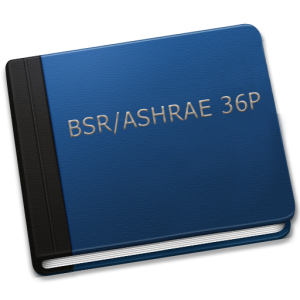 ASHRAE has made significant strides to help owners operate buildings more efficiently with ASHRAE Guideline 36P, High Performance Sequences of Operation for HVAC Systems. The guideline consolidates the operational components from various ASHRAE standards* such as 55 (comfort), 62.1 (ventilation), and 90.1 (efficiency) to name a few. ASHRAE not only identifies the standards to follow in the design of buildings, but now gives us a playbook to operate the building. That’s what makes this guideline great—it focuses on operations. It’s putting forward not just standards-compliant approaches, but the best methodologies identified through all their research and field experience. And while you’ll need a modern building and BAS to implement all the strategies, it’s a roadmap to consistent excellence. Consistent means just that—the same operating philosophy everywhere. We get to say goodbye to having a different theory of operations for every building in the portfolio. While the guideline is in public review, you can download a free copy from http://gpc36.savemyenergy.com/public-files. Evaluate operational controls data during building warranty or for existing buildings. By consistently applying the guideline, the owner gets an objective, reliable, and repeatable result. The theory of operations isn’t subject to the randomness of whoever did the work that day, and installing new controls is no longer an experiment.